Hello and welcome to my Cow Collection page. 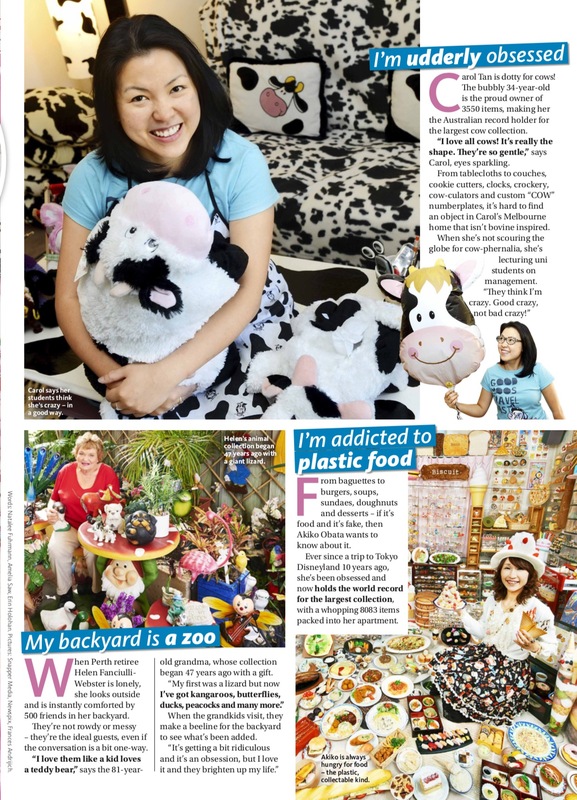 My name is Carol Tan and I have loved cows since I was 17. I have only milked a cow about 4 times in my life and never lived on a farm. I currently have Australia’s Largest Cow Collection (4,073 official cows in December 2016) awarded by the Australian Book of Records. 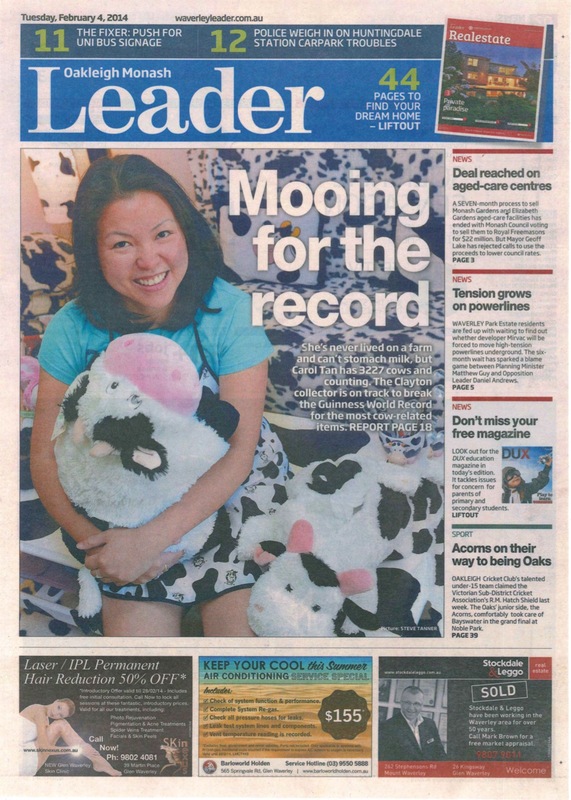 On the 23rd of May 2015, I set a new Guinness World Record for the Largest Collection of Cow-Related Items, consisting of 3,206 unique cows. Check out the video of my cow collection below!!! So, why do I collect cows? I don’t know. It’s just something I am passionate about 🙂 In 1997, a friend said to me, “How Now Brown Cow?” and that got the ball rolling. I then started referring to people as cows (I know that is weird, but its more like a term of endearment although I heard that calling a woman a cow is rude). I started collecting seriously from 2005 and have managed to collect more than 5000 items. I travel the world to collect cows (not exclusively to buy cows but I do have a pretty strong cow-dar when I am on holiday). My cows come from Asia (Malaysia, Indonesia, Philippines, Vietnam, Thailand, China, South Korea), Europe (Italy, Switzerland, UK, France, Spain), North America (Boston, NYC), South America (Colombia), and of course Australia (Sydney, Melbourne, Perth). I also buy cows online and from op shops such as Vinnies, Salvos and Savers. 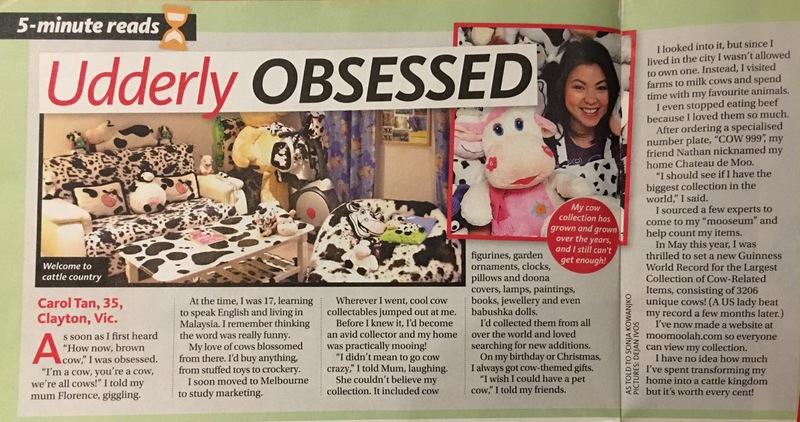 Since I’ve been featured in the media, numerous people have also generously given me their cowlections as they are no longer cow collecting! Thank you Kezza from Maffra, Jan from Wodonga and Cathy from NSW! *so blessed* I also met a really nice lady from Shepparton, Helen, who had the most amazing antique pieces – she thought it was best to sell it to someone who would take care of her collection. There were 3 particularly unique items which were made between 1855 and 1910! My love for cows was also an influencing factor in my decision for buying an investment property. One of my friend’s was walking through the North Melbourne suburb and told me about a House of Angus boutique apartment development, which had a display unit. I was extremely excited and went to view this place, talked to the agent and took their marketing materials which were all cow themed. 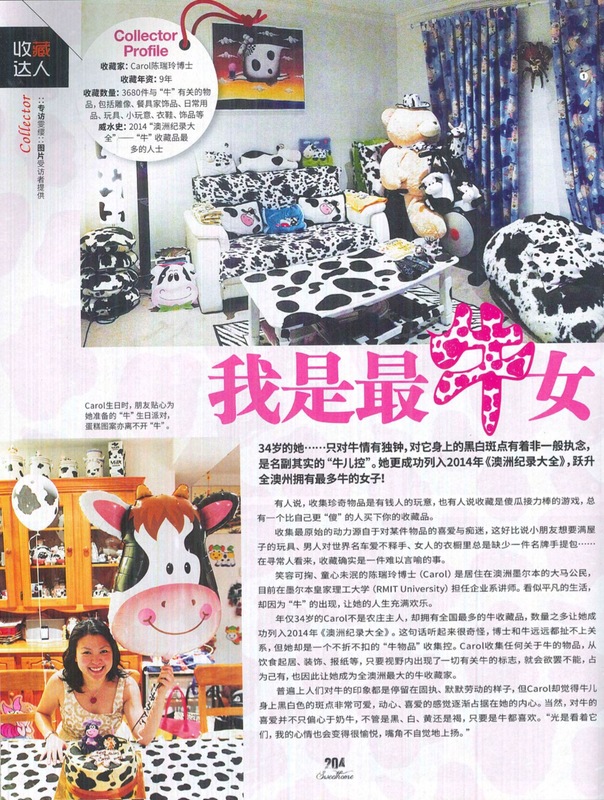 Each apartment was even named after a cow breed such as Friesian, Angus, Highland & the Wagyu. The display unit was also decked out with cow paintings! It was my idea of heaven. However, given that we should not make emotional decisions in relation to investment, I decided to walk away (also because it was out of my price range). Funnily, exactly ONE year later, as I was looking at potential properties in a variety of suburbs, I randomly searched “House of Angus” just to see what had happened to this development. There were still about 4 apartments left, and the price seemed right this year. I decided to buy the “Burlina”, an Italian black and white cow which is plump and short (just like me!). I guess you could say that this is my most expensive cow related item! Was this an emotional decision? I would say no, as I had consulted with many people regarding this property without telling them the name and everyone thought it was a good decision :). I am happy! The name of the apartment is just the icing on the cake. Thank you to my family, friends, colleagues, and students who have contributed to my collection and the cow counting process which took months to finish 🙂 The cow family wouldn’t have grown so rapidly without everyone’s contribution! So, what do I do in my day job? I teach Masters students and do research at university in Entrepreneurship. Somehow, I manage to give examples that are cow related in lectures and tutorials. I even started a pop-up food stall in August 2012 and called it Ninja Cow Malaysian Cuisine. The food stall, which focuses on Malaysian Fried Rice Noodles and Malaysian Tea was no ordinary stall. I created a brand image that tells a story of who I am, highlighting the importance of being passionate in what you do. Seth Godin’s book, “Purple cow: transform your business by being remarkable” provides an important illustration of being successful in business. Cows are boring. Purple Cow describes something phenomenal, counterintuitive, exciting and unbelievable. Consumers are faced with lots of brown cows – but they will never forget a purple cow. Godin urges everyone to include a Purple Cow into everything they build to create something truly noticeable. Thus “Ninja Cow” is purple, carries a wok of prawns, eggs and bean sprouts in one hoof and a spatula in the other. Ninja Cow also sports a pair of chopsticks on her back! Two of my students even dressed up as a ninja and a cow. Who would have thought my cows would be that famous? They have been featured on TV: the Today Show on Channel 9; The Living Room (Channel 10); Channel 7 News; Weekend Sunrise; and Sunrise (Channel 7) GO CASH COW! and Radio (e.g., 3AW and 6PR). 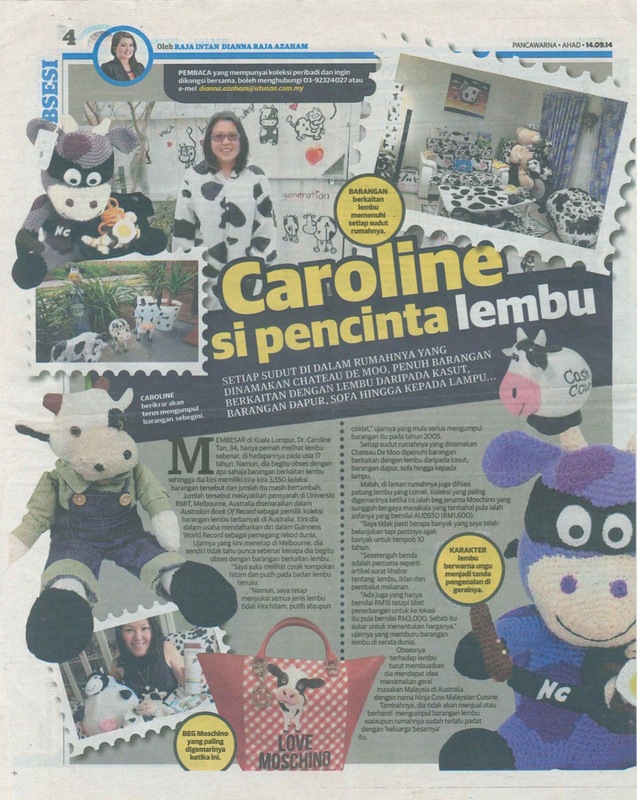 The cows were seen in various newspapers and magazines in Australia, Malaysia and Poland! 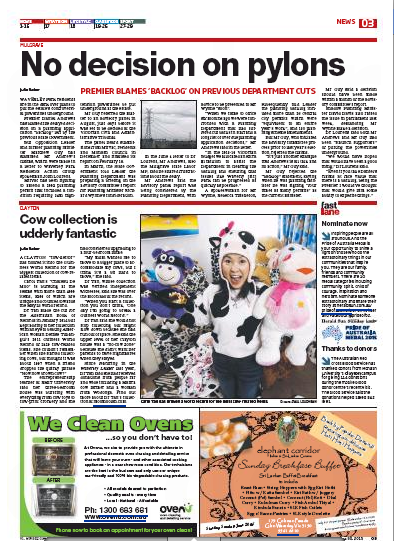 Check out the Herald Sun’s Waverley Leader in 2014 and 2015; Woman’s Day; Take 5; Mingguan Malaysia (a Malay Sunday newspaper in Malaysia); Feminine Magazine (a Malaysian Chinese home interior magazine) and top agrar Polska (a Polish agriculture publication!). 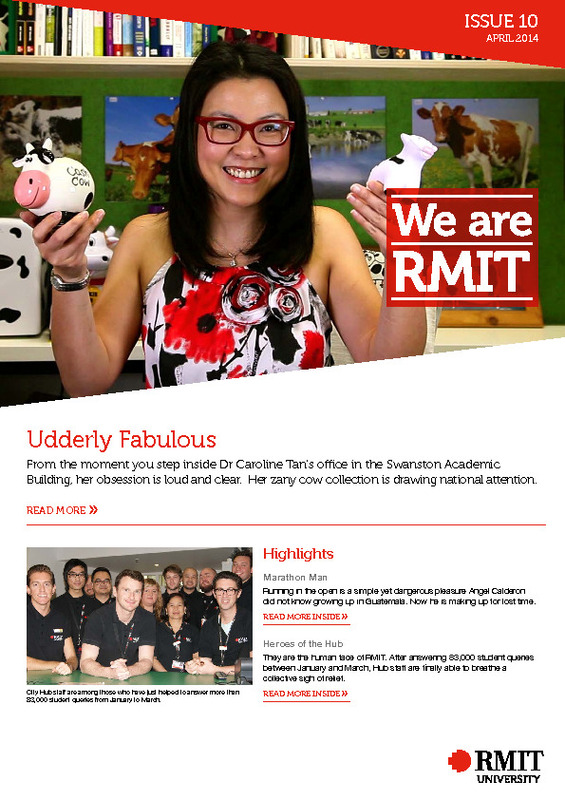 Click the images to read more 🙂 MOO! I hope you enjoy scrolling through all the different items, as I am pretty amazed at the amount of cow related items worldwide. I update my collection as it grows on my Instagram and Cow Collection Australia Facebook page.